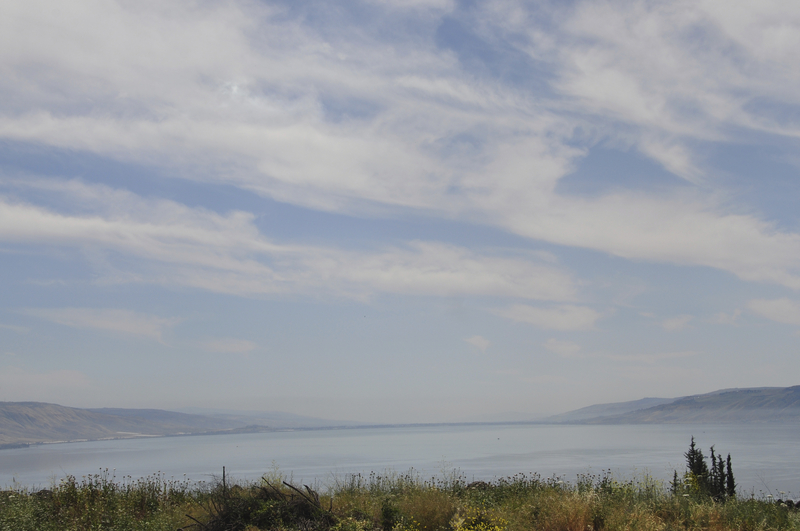 The Sea of Galilee, called the Kinneret in Hebrew, is the lowest freshwater lake in the world at an elevation of 212 meters below sea level, part of the Great African Rift. It is 21 km by 13 km with a circumference of 53km – I’d be happy to take you on a tour around the lake by bicycle. This photo was taken from Almagor, a moshav to the north of the lake, the site of the Battle of Tel Motilla between Syria and Israel in 1951, one of many attacks by Syria from the Golan Heights. The technical details – the photo was taken with a Nikon digital SLR camera and 18-200mm lens in April (ISO 200, 36mm, F11 at 1/500 sec). This entry was posted in Nature, Photography and tagged bicycle tour, bicycling, Israel photo, Kinneret, photo of week, Photography, Sea of Galillee on April 7, 2013 by Shmuel Browns. “a tour around the lake by bicycle” What a great idea! I agree with djdfr. Bike or hike — would be a treat. Also, for those who are metrically challenged, you might add USA measurements (21 km (13 mi) by 13 km (8 mi) with a circumference of 53km (33 mi).